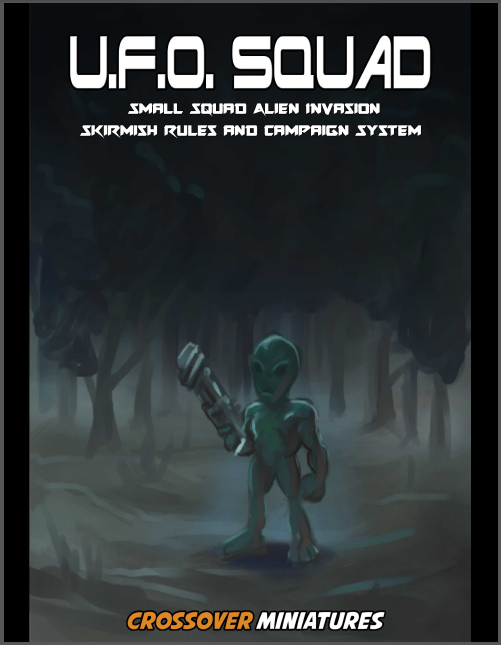 UFO Squad is the new sci-fi skirmish game from Crossover Miniatures, where squads of human troops defend the earth from the threat of alien invasion. As well as the rules, Crossover has produced a range of figures for the game. In this blog, I’m taking a look at the human troops. Of the 5 bodies, 3 have assault guns, whilst one has a scanner, and the other has a SAW. Several head sprues are available, again with Closed Helmet, Open Helmet and Beret. Whilst it’s good to see a selection of both male and female figures, I think overall the figures are something of a mixed bag. They are 28mm, rather than ‘Heroic’ or 30-32mm figures, with a slightly more slender proportion than some figures we’ve seen. I don’t think the male troopers look fine, but I think the female pack suffers from a couple of issues: the first is the pose of several of the models with splayed legs and feet. This looks a little unnatural (and if you think it isn’t, just try assuming the pose) – it would have been much better to have poses with feet at least parallel, or probably more like the male poses. Also, the arms of the figures with the SAW and the scanner appear over-long, although this is perhaps exaggerated by the fact that the female heads simply look too small on the bodies. The helmeted heads are not too bad, but the others look out of proportion, which is a shame because otherwise the detailing is fine. 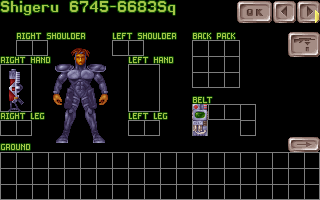 One other thing, especially when looking at the weapon options available to the humans in the rules, is that a missile launcher is conspicuous by it’s absence – it might have been better to include this, rather than the guy with the hand gun. The figures compare well against the source material (they have been sculpted wearing ‘carapace’ armour) but I think suffer due to the issues I’ve highlighted above – overall, not my favourite human sci-fi troops I’m afraid. Disclosure: Crossover Games provided a review copy of these miniatures / rules, and I was also involved in the editing process for the UFO Squad rules.